ABN AMRO Clearing is one of the world's leading providers of clearing and financing services for listed derivatives and cash securities, OTC products, warrants, commodities and FX. With 11 offices globally employing more than 800 people, ABN AMRO Clearing services clients on 160+ exchanges, MTFs and FX liquidity centres. We rank among the top 3 clearers in most time zones. ABN AMRO Clearing offers an integrated approach to global transaction processing, financial logistics and risk management and consistently holds over 20% of the market shares of transactions cleared on most relevant derivatives exchanges globally. B3 – Brazilian Exchange and OTC: the result of the merger between BM&FBOVESPA and Cetip. B3 is born as a company greater than the sum of its parts. With a diversified portfolio of products and services, B3 aims to maximize business opportunities in a dynamic, challenging and competitive market environment on a global scale. We are committed to Brazil, our clients, innovation, and constant development of the financial and capital markets. www.b3.com.br. BCS Global Markets is the Investment Banking division of BCS Financial Group - a Russian financial service sector pioneer launching operations in 1995. The Global Markets Investment Banking division is focused on the provision of market access, financing and advisory, securities lending and other ancillary prime brokerage and asset administration services. BCS is the broker of choice for trading Russian instruments with an absolute leadership position: since over 3 years, BCS has maintained its dominant trading position on the Moscow Exchange, capturing more than 25% of market share in Equities, Derivatives and FX. BNP Paribas (www.bnpparibas.com) has a presence in 75 countries with more than 180,000 employees, including 140,000 in Europe. It ranks highly in its three core activities: Retail Banking, Institutional Solutions and Corporate & Institutional Banking. In Europe, the Group has four domestic markets (Belgium, France, Italy and Luxembourg) and BNP Paribas Personal Finance is the leader in consumer lending. BNP Paribas is rolling out its integrated retail banking model across Mediterranean basin countries, in Turkey, in Eastern Europe and a large network in the western part of the United States. In its Corporate & Institutional Banking and Investment Solutions activities, BNP Paribas also enjoys top positions in Europe, a strong presence in the Americas and solid and fast-growing businesses in Asia-Pacific. While BNY Mellon is best known as a custody bank, we’re actually much more than that. In fact, we service the entire life cycle of a transaction, from custody through to trading, funding, liquidity, collateral management and settlement. FX Our foreign exchange business gives clients access to FX products in over 80 currencies across 400-plus currency pairs. FIXED INCOME & EQUITIES Whether it’s cash equities, ETFs, sovereign or corporate bonds, agencies or MBS, you can execute it all with our capital markets desk. SECURITIES FINANCE A market leader in agency securities lending, conduit principal securities lending and secured loans. COLLATERAL MANAGEMENT Offering comprehensive services around pledged margin assets, from collateral segregation through to collateral administration. LIQUIDITY SERVICES Providing clients access to cost-effective funding and efficient access to money market funds through our Liquidity DIRECT portal. CACEIS is the asset servicing banking group of Crédit Agricole dedicated to institutional and corporate clients. Through offices across Europe, North America and Asia, CACEIS offers a broad range of services covering execution, clearing, depositary and custody, fund administration, middle office outsourcing, forex, securities lending, fund distribution support and issuer services. With assets under custody of €2.7 trillion and assets under administration of €1.8 trillion, CACEIS is a European leader in asset servicing and one of the major players worldwide. Comyno is a FinTech software and Business Consultancy boutique with a clear focus on securities finance and regulatory topics and technologies. Working with well-known private and public financial institutions, Clearing Houses and TriParty agents, we offer industry leading software and consultancy services. Our expertise combines strategy and technology to provide tailored solutions, deliver enhanced functionality and integration across all parts of the process chain. Providing expertise and resource for Business Change in Securities Finance - In the constantly evolving landscape that is the Securities Finance Industry, it is important that you have people that you can trust and rely on to ensure you reach your goals. Are you updating a legacy or selecting and implementing a new system? Do you have business processes that require development or optimising? Regulatory change to deliver? If so, then our extensive industry knowledge and experience makes Consolo the partner of choice for all of your project and resourcing needs by working with you to deliver the results you want, your way. Cowen Inc. (www.cowen.com) is a global, diversified financial services company and provides alternative asset management, investment banking, research, sales and trading, prime brokerage, global clearing and commission management through its two business segments: Cowen Investment Management and Cowen and Company. Founded in 1918, Cowen is currently celebrating its 100th anniversary. Crédit Agricole Corporate and Investment Bank is the investment banking entity of the group and rated 13th in the world by Tier One Capital (source: The Banker, July 2017). Crédit Agricole CIB is active in a comprehensive range of capital markets, investment and transaction banking, and financing activities and supports clients in large international markets through its network, a presence in major countries in Europe, America, Asia Pacific and the Middle East. Credit Suisse is one of the world's leading financial services providers and is part of the Credit Suisse group of companies. As an integrated bank, Credit Suisse offers clients its combined expertise in the areas of private banking, investment banking and asset management. Credit Suisse provides advisory services, comprehensive solutions and innovative products to companies, institutional clients and high-net-worth private clients globally, as well as to retail clients in Switzerland. Further information about Credit Suisse can be found at www.credit-suisse.com. Dealreporter’s news and data covers Mergers and Acquisitions, Special Situations and Equity Capital Markets (ECM) in real time. Our coverage is global, with journalists and editorial analysts across North America, Europe, Asia-Pacific, Eastern Europe and Latin America. Deutsche Börse Group is one of the largest exchange organisations worldwide. It organises markets characterised by integrity, transparency and safety for investors who invest capital and for companies that raise capital – markets on which professional traders buy and sell equities, derivatives and other financial instruments according to clear rules and under strict supervision. Deutsche Börse Group, with its services and systems, ensures the functioning of these markets and a level playing field for all participants – worldwide. Global Funding and Financing (GFF) integrates all Deutsche Börse Group’s services around securities financing, cash funding and collateral management. Aligning our activities under GFF allows us to better address new regulatory requirements and to serve your emerging needs in view of trading, risk and liquidity management more efficiently. With over 40 years of experience, DTCC is the premier post-trade market infrastructure for the global financial services industry. DTCC’s Global Trade Repository is the industry's preferred solution for global trade reporting. It maintains approximately 40 million open OTC positions per week and processes over one billion messages per month. GTR intend to extend their regulatory reporting capabilities within the securities financing market, helping clients meet new reporting requirements under the Securities Financing Transactions Regulation (SFTR) and Swiss reporting (FinfraG) To learn more, please visit us at www.dtcc.com or connect with us on LinkedIn, Twitter, YouTube and Facebook. Euroclear’s global Collateral Highway mobilises over EUR 1 trillion of collateral daily through an all-encompassing collateral management product suite. Offering access to the widest range of counterparties across geographies, the Collateral Highway is the proven, safe and cost efficient solution to meet all your liquidity needs. The Euroclear group serves major financial institutions located in more than 90 countries. 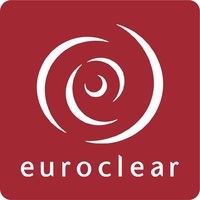 Euroclear Bank is rated AA+ by Fitch Ratings and AA by Standard & Poor’s. FIS is a global leader in financial services technology, with a focus on retail and institutional banking, payments, asset and wealth management, risk and compliance, consulting and outsourcing solutions. Through the depth and breadth of our solutions portfolio, global capabilities and domain expertise, FIS serves more than 20,000 clients in over 130 countries. Headquartered in Jacksonville, Fla., FIS employs more than 53,000 people worldwide and holds leadership positions in payment processing, financial software and banking solutions. Providing software, services and outsourcing of the technology that empowers the financial world, FIS is a Fortune 500 company and is a member of Standard & Poor’s 500® Index. For more information about FIS, visit www.fisglobal.com. 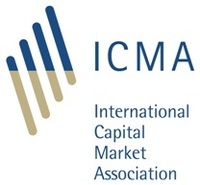 The International Capital Market Association (ICMA) is the trade association for the international capital market with more than 530 member firms in 62 countries. It performs a central role in the market by providing industry-driven standards and recommendations for issuance, trading and settlement in international fixed income and related instruments. ING is a global financial institution with a strong European base, offering banking services through its operating company ING Bank. The purpose of ING Bank is empowering people to stay a step ahead in life and in business. ING Bank’s 52,000 employees offer retail and wholesale banking services to customers in over 40 countries. ING’s Global Securities Finance (GSF) division develops and executes trading activities encompassing both fixed income and equities. GSF’s product capabilities, global presence, and asset class expertise means that we can deliver highly customized, securities finance solutions to our Financial Institution, Corporate and Hedge Fund clients. In the United States, GSF offers its products through ING Financial Markets LLC and ING Capital Markets LLC. At ION, our mission is to empower you through automation and innovation. Our Anvil 9 solution manages the complexity of the markets and customer requests behind it – giving you automation, workflow, and prioritization tools to deal with it. You don’t need multiple screens, markets, emails, and chat. Anvil 9 gives you everything you need for trading in one place. J.P. Morgan is a premier securities lender that continues to help clients enhance returns with a program that meets their evolving needs. We offer a customized solution on a custody and non-custody basis that encompasses program design, parameters, collateral, financing, loan distribution, and oversight. We leverage our financial resources, global presence, to drive our clients' securities lending program forward. We maintain a strong focus in risk management, innovation, operational excellence, global processing capabilities, and superior client service. Natixis is the international corporate and investment banking, asset management, insurance and financial services arm of Groupe BPCE, the 2nd-largest banking group in France with 31.2 million clients spread over two retail banking networks, Banque Populaire and Caisse d’Epargne. With more than 17,000 employees, Natixis has a number of areas of expertise that are organized into four main business lines: Asset & Wealth Management, Corporate & Investment Banking, Insurance and Specialized Financial Services. A global player, Natixis has its own client base of companies, financial institutions and institutional investors as well as the client base of individuals, professionals and small and medium-size businesses of Groupe BPCE’s banking networks. Figures as at September 30, 2017. Nomura is an Asia-headquartered financial services group with an integrated global network spanning over 30 countries. By connecting markets East & West, Nomura services the needs of individuals, institutions, corporates and governments through its four business divisions: Retail, Asset Management, Wholesale (Global Markets and Investment Banking), and Merchant Banking. Founded in 1925, the firm is built on a tradition of disciplined entrepreneurship, serving clients with creative solutions and considered thought leadership. Pirum offers a secure, centralised automation and connectivity hub for global securities finance transactions, enabling complete automation of the post-trade and collateral lifecycle. Our position within the securities financing market enables clients to seamlessly access counterparts, tri-party agents, trading venues, market data companies and CCPs, as well as regulatory reporting facilities. We combine an in-depth understanding of both the securities finance industry and the most innovative technology to provide market-leading flexible services that are built around the unique complexities of our clients’ underlying business processes. Our global client community includes many of the world’s leading and emerging financial institutions. Join us. Royal Bank of Canada (‘RBC’) is one of the largest banks in the world, providing personal and commercial banking, wealth management, insurance, investor services and capital markets products and services on a global basis. Over 80,000 full and part-time employees serve more than 16 million clients, through offices in 37 countries. RBC Capital Markets is a premier global investment bank providing expertise in banking, finance and capital markets to corporations, institutional investors, asset managers and governments around the world. We serve clients from 70 offices in 15 countries across North America, the UK, Europe and the Asia-Pacific region. Since the start of EMIR Reporting in February 2014, REGIS-TR has become one of the largest Trade Repositories (TRs) in Europe, handling in excess of 30 million records per week, and supporting over 1,500 clients. As a truly and natively European TR, we have established ourselves as the experts in G20 reporting across Europe. We are the only TR servicing both EMIR and FinfraG obligations and, our future offering will be further extended to include SFTR reporting. REGIS-TR, through its shareholder structure, is uniquely positioned as a TR with deep expertise in securities lending, repo and collateral management. We have received lots of interest from existing customers and will support significant "own" reporting requirements for sister companies. Interestingly, we have also received a lot of interest from customers using a different TR for EMIR, but who consider us the natural TR of choice for SFTR reporting. Scotiabank is Canada's international bank and a leading financial services provider in North America, Latin America, the Caribbean and Central America, and Asia-Pacific. We are dedicated to helping our 24 million customers become better off through a broad range of advice, products and services, including personal and commercial banking, wealth management and private banking, corporate and investment banking, and capital markets. With a team of more than 88,000 employees and assets of over $923 billion as of January 31, 2018, Scotiabank trades on the Toronto (TSX: BNS) and New York Exchanges (NYSE: BNS). For more information, please visit www.scotiabank.com and follow us on Twitter @Scotiabank. Societe Generale is one of the largest European financial services groups. Based on a diversified universal banking model, the Group combines financial solidity with a strategy of sustainable growth and aims to be the reference for relationship banking. With more than 145,000 employees, based in 66 countries, we accompany 31 million clients throughout the world, be they individual, corporate or institutional. We are a leading international banking group, with more than a 150-year history in some of the world’s most dynamic markets. Our purpose is to drive commerce and prosperity through our unique diversity, and our heritage and values are expressed in our brand promise, Here for good. We are present in more than 60 markets, with over 1,000 branches and around 3,000 ATMs. Standard Chartered PLC is listed on the London and Hong Kong Stock Exchanges as well as the Bombay and National Stock Exchanges in India. Credit Solutions offers fixed Income and Equity Financing Solutions to clients across the Globe. For more stories and expert opinions please visit Insights at sc.com. Follow Standard Chartered on Twitter, LinkedIn and Facebook. State Street Corporation (NYSE: STT) is one of the world's leading providers of financial services to institutional investors, including investment servicing, investment management and investment research and trading. With $33.10 trillion in assets under custody and administration and $2.80 trillion** in assets under management as of December 31, 2017, State Street operates in more than 100 geographic markets worldwide, including the US, Canada, Europe, the Middle East and Asia. * AUM reflects approx. $35 billion (as of December 31, 2017) with respect to which State Street Global Markets, LLC (SSGM) serves as marketing agent; SSGM and State Street Global Advisors are affiliated. Stonewain Systems Inc. develops software solutions for the securities finance industry. Our modular and scalable securities finance platform—Spire™—is a comprehensive, fully-integrated solution that combines industry-specific functionality with ground-breaking technology and automation. With unprecedented power, more capable functionality, open standards compatible with a wide range of solutions, and a fixed-cost model that holds steady through volatile markets- Spire has emerged as the preferred choice of the Industry. 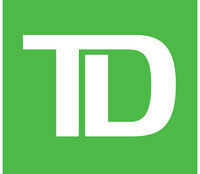 As a leading corporate and investment bank, TD Securities offers a full suite of integrated capital markets products and services to clients around the world. Our Prime Brokerage and Securities Lending businesses deliver custom solutions and hands-on guidance from some of the industry's top professionals. With our large internal holdings, exclusive retail supply, and access to a broad network of counterparties, we play a vital role in the success of our clients. The Field Effect is an independent consultancy specialising in accelerating change in financial services providing advisory services to every participant in the industry value chain. A specific focus area driven by evolving regulatory requirements is securities financing & collateral management. Our services include helping clients to enhance trading and customer service strategies; improve operating efficiency; and simplify technology infrastructure to reduce run costs, improve revenue and enhance customer experience. At Trading Apps, we have recognised the tangible value that speed, automation and efficiency can provide to a securities finance business. Since our foundation in 2011, we have developed targeted applications that continue to raise the bar regarding trade and process automation, transparency, revenue optimisation and risk mitigation. We have demonstrated our Flexibility by connecting to numerous underlying systems; our Speed through quick deployment; and our Sophistication by designing workflow’s that are transformational and have an immediate impact on the bottom line. Transcend empowers financial institutions to rethink how they manage collateral and access liquidity. Its modular, innovative technology keeps pace with the speed of change in today’s markets, enabling firms to harness real-time data, collateral and liquidity across the enterprise to optimize returns on capital. For more information, visit www.transcendstreet.com. Trax is a leading provider of capital market data, trade matching and regulatory reporting services. Trax processes on average over 1 billion annual transactions on behalf of its community of over 600 entities including approximately 12 million fixed income transactions. Trax operates an Approved Publication Arrangement (APA) and Approved Reporting Mechanism (ARM) for MiFID II trade and transaction reporting in addition to providing support for other regulatory regimes. Trax additionally provides capital market firms with information to assist them in conducting net asset valuations, mark-to-market calculations, fixed-income portfolio mapping, liquidity and volume modelling, as well as reference data population updates. Trax data products include a universe of over 300,000 fixed income securities with unique pricing and volume information on approximately 60,000 individual bonds. Wematch optimises matching of interests on financing structures (TRS, repos and SBLs) and and Equity Derivatives OTC structures and integrates features to monitor events during the lifecycle of the trades. Wematch offers additional dashboards for compliance and operations teams, allowing for proper controls and integration into the client’s infrastructure. All trades are confirmed by an FCA-regulated broker. UniCredit is a simple, pan-European commercial bank providing unique access to Western, Central and Eastern Europe with an unrivalled strategic presence in 14 European core markets and an International Network spanning another 16 countries worldwide. UniCredit Corporate & Investment Banking is fully plugged into UniCredit Group and serves 1,500 multinational corporates and key financial institutions and supports the Group’s corporate banking units in delivering services to 600,000 corporate and public sector clients. At home throughout Europe, we are the partner of choice for our clients’ increasingly sophisticated demand for Corporate Banking and Transaction Services, Structured Finance, Capital Markets and Investment Products. We offer local expertise as well as international reach and accompany our clients globally.